we welcome you to Stallions Cheer, 2019!! 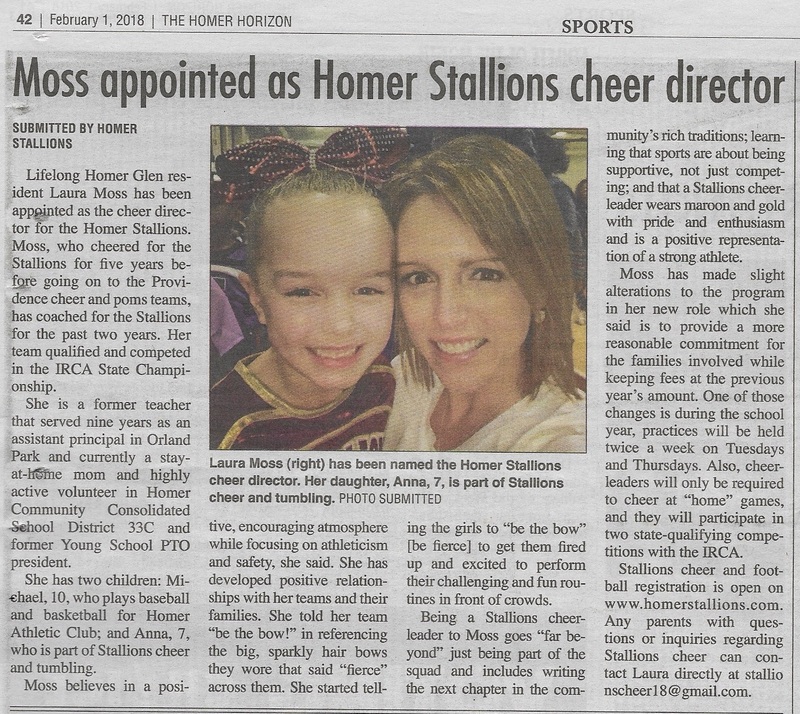 Stallions Cheer teaches the fundamentals of cheerleading and tumbling, along with the importance of teamwork, sportsmanship, and community pride. 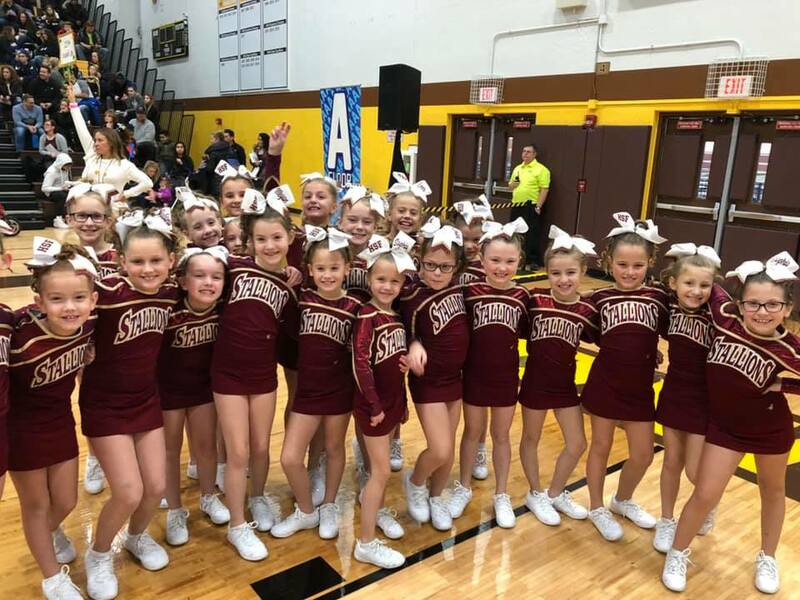 Through practices, cheering for home football games, 1 away game, and participating in local and state-level competitions, our athletes are involved in a variety of exciting activities. It is a goal of the program to provide the training that will lead to getting involved in high school and college cheer teams, as well as becoming safe, informed athletes.